Light wood, layers, functional shapes and friendly colors. As soon as the idea of Scandinavian Design arose, these associations were near and enthusiastic since the middle of the last century, one generation after the other. It is not surprising, that the Scandinavian Design had such a large fan club: its reduced language form is practiced all over without interruption. The use of organic material and a certain pragmatism create a warm and inviting impression. The Scandinavian Design has set its mark over the last six decades in international design. This is not only the case in equality between shape, function, stability and costs, but also in skillful marketing. For a very long time the Scandinavian countries have decided to have a similar appearance in international design: The very first time the "Scandinavian Design Idea" arose was in 1951 during the London Exhibition "Scandinavian Design for Living“. The Exhibition presented Furniture, glass and textiles of different Scandinavian designers. These were connected to the coming modernisms of Germany and France. Scandinavian furniture was characterized by traditional craftsmanship as well as the use of local materials like birch wood, glass, clay and cloth. The exhibition that followed, "Design in Scandinavia“, toured the USA and Canada from 1954 to 1957 and established the design of Scandinavian Modernism also internationally. From the beginning the concept of Scandinavian Design went in with an agreed presentation of the Scandinavian business: The use of organic materials was interpreted as the Scandinavian love of Nature and the simplicity and functionality of furniture as a symbol of the equal, democratic lifestyle. Especially in Germany after the Second World War, these social and democratic ideas that emerged in Scandinavian Design were very popular. Cheap mass production and new manufacturing techniques made good design affordable for almost everyone. The technology of laminating wood with the help of dampness, played an important role for the success of the Danish furniture manufacturers Fritz Hansen. 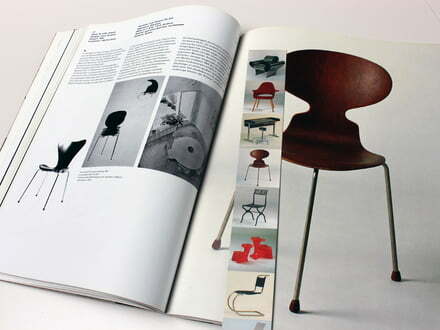 The design of the Ant Chair by Arne Jacobsen from 1952 is until today the company's most popular chair. The Scandinavian design icon can be found in schools, canteens and private houses. Classic Scandinavian Design is a definite source of inspiration for many younger design companies. Through the influence of international designers and many brands Scandinavian design furniture & decor receives more and more modern movements. Personal experiences of a designer shape the product's form, so that the Scandinavian Design is always contemporary and relevant. These new influences ensure that Scandinavian design does not become obsolete, but that future generations can still enjoy its functional elegance!